During the Irish Potato Famine of the 1840s, things looked bleak for the lower classes. The potato crop failed again and again, and hundreds of thousands of people were starving. In an attempt to stimulate the economy, nuns and charities began teaching crochet for free to anyone who would learn, so that they could produce something of value to sell and perhaps feed themselves. There was a problem, though: crochet was cheaper and faster to make than its counterpoints, needlepoint and bobbin lace, so it was regarded as common and undesirable. The women of Ireland were left with an abundance of lace but little market for it. 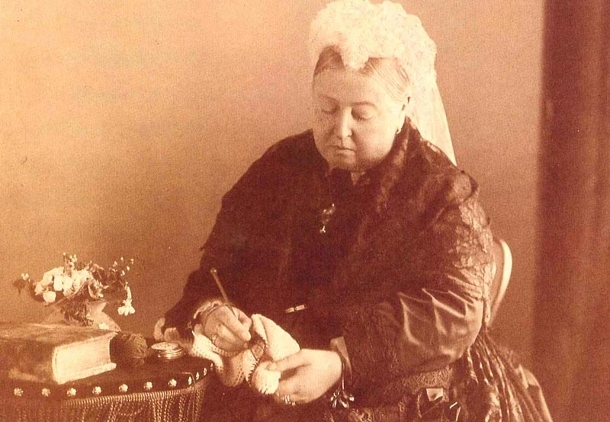 It was likely this situation that prompted a gift of Irish crochet lace to Queen Victoria. The Queen not only accepted the lace but wore it, instantly catapulting crocheted lace to fashionable status. Ladies with money decked themselves in it from head to toe, and even ladies of the middle class could afford a cuff, a collar, or a trim. At one point it became so popular that a fine panel of crocheted lace could be traded for favors from wealthy ladies or the nobility. 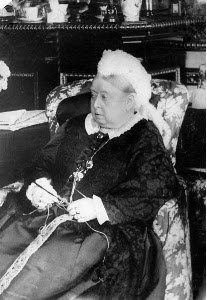 This would have been extraordinary enough, but Queen Victoria learned to crochet herself as well, removing the stigma from the activity. Some even believe that crocheting helped her cope with the grief of her husband’s death. What we do know is that in the last year of her life, the Queen crocheted eight scarves for members of her forces fighting in South Africa. Only the most distinguished soldiers received the award that came to be called ‘The Queen’s Scarf.’ Five feet long, these “mufflers” were to be worn as sashes over the shoulder and buckled on the opposite hip. (One of these scarves is on display at the Canadian War Museum.) At one point, there was confusion over the status of The Queen’s Scarf as an award – some claimed it was an honor even higher than the Victoria Cross. 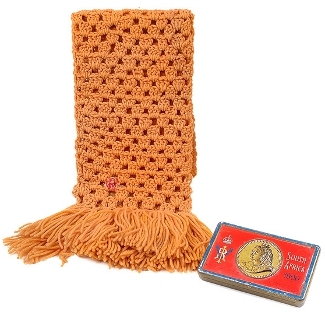 While research has determined that The Queen’s Scarf is not even a valid military decoration, an object made with her own hands is one of the greatest honors that can be given…as any crocheter could tell you. This is a wonderful story! Thanks for sharing it! My grandmother taught me to crochet when I was about 9 years old. She made beautiful lace crochet table scarves and runners. I have several and treasure them. 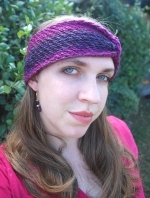 The lace crochet was too hard for me, but I have done yarn crochet and made afghans, hats and scarves. I loved reading this article. This is an excellent blog post, thanks so much for this. I’ll be linking to yours from mine.